The peripheral hormones that regulate food intake include several gastrointestinal, pancreatic, and adipocyte-derived peptides (Table 1.2). Based on extensive studies in rodents and limited human data, these peptides can be classified as having orexigenic (e.g., ghrelin) or anorexigenic (e.g., insulin, peptide YY, glucagon-like polypeptide, cholecystokinin, leptin) effects. There is a mature and growing literature on the roles of several adipocyte products (including nonesterified fatty acids, adipocytokines, and leptin) in the regulation of metabolic fuel economy, energy balance, glucoregulation, food intake, and body weight. Products such as nonesterified fatty acids have long been proposed as mediators of obesity-associated insulin resistance and glucose dysregulation (33-35), as discussed elsewhere in this book. 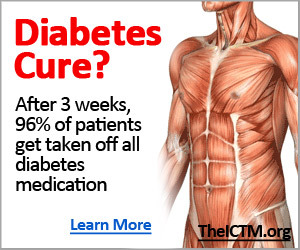 The adipocytokine TNF-alpha (also known as cachectin, for its association with cachexia or wasting) is a mediator of insulin resistance and is secreted in higher amounts by adipocytes from obese subjects (36-41). Other circulating and adipose-derived proinflammatory cytokines also have been implicated in the pathogenesis of obesity-associated insulin resistance and diabetes (42, 43). On the other hand, adiponectin is secreted in abundant amounts by fat cells from insulin-sensitive persons and is deficient in persons with obesity or insulin resistance (44, 45). Thus, numerous adipose tissue products serve as markers, signals, or modulators of energy balance, fuel economy, intermediary metabolism, glucoregulation, and other metabolic events that intersect with food intake and body-weight homeostatsis. Of these numerous adipose tissue products, leptin is perhaps the best characterized in terms of its role in the regulation of food intake and related mechanisms. The positional cloning of the mouse (ob) gene and its human homologue (46) represents a major milestone in obesity research. Two separate mutations of the ob gene result in either a premature stop codon or complete absence of ob mRNA in the ob/ob mouse (46). The resultant absence of a normal ob gene product leads to overfeeding, massive obesity, delayed sexual maturation, and immune defects in ob/ob mice. The human ob or lep gene is transcribed and translated into a secreted protein mainly in white adipose tissue, but activity can also be reported in brown adipose tissue and gastric epithelium (47). 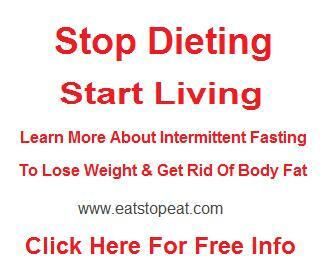 Circulating leptin levels are increased by feeding, decreased during fasting or following weight loss, and are altered by a variety of hormonal and physiological factors (48, 49). A pedigree with severe childhood obesity associated with deletion of a guanine nucleotide in codon 133 of the human lep gene was the first human example of congenital leptin deficiency to be identified (50). A missense lep mutation in codon 105 has also been identified in a Turkish pedigree (51). Three individuals (two female, one male) homozygous for this mutation have the phenotype of hypolep-tinemia, marked hyperphagia, massive obesity, and hypothalamic hypogonadism. Excluding these rare reports, common forms of human obesity do not appear to be caused by discernible lep mutations (52). Treatment with recombinant leptin results in a marked reduction in food intake and profound weight loss in ob/ob mice (53, 54). Leptin therapy also is remarkably effective in correcting obesity in humans with congenital leptin deficiency (55-57). Leptin exerts its effects through interaction with cognate cell membrane receptors (lep-r) (58). One full-length (isoform-b) and several alternatively spliced forms (a, c, d, e, f) of lep-r have been identified in brain and peripheral tissues (59, 60). Lep-r is a member of the class 1 cytokine receptor family (61). This receptor family mediates gene transcription via activation of the jak-stat pathway (42). The long isoform lep-r (b), expressed in the hypothalamus, mediates the central effects of leptin; the shorter isoforms are truncated in the cytoplasmic domain, but can bind leptin and probably mediate in some of its peripheral action (62). 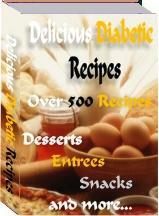 to leptin replacement, and often achieve independence from insulin and oral hypogly-cemic agents (84). Leptin also potently reduced hepatic steatosis in these patients (84). Administration of low physiological doses of recombinant methionyl-human-leptin (0.01-0.04 mg/kg) produced dramatic results in morbidly obese leptin-deficient patients (55-57). Following daily subcutaneous injection of recombinant leptin, significant weight loss was reported within two weeks. The weight loss was maintained at a rate of approximately 1-2 kg per month, without evidence of tachyphylaxis, throughout the period of treatment. Daily food consumption (and food-seeking behavior) decreased within one week of initiation of leptin replacement, and 95 percent of the total weight loss was accounted for by selective body-fat depletion. Basal energy expenditure decreased (due to weight loss), but dynamic energy expenditure increased during leptin treatment, the latter being due to increased physical activity (55). Thus, the major mechanisms of weight-loss following leptin replacement are sustained reduction in caloric intake and stimulation of physical activity. The stimulatory effect of recombinant leptin on physical activity was first noted in ob/ob mice (53, 54) and is probably mediated by activation of the sympathetic nervous system (85). Similar but less dramatic benefits on weight reduction were observed following leptin augmentation in a cohort of 54 lean and 73 obese men and women with normal leptin genotype (as indicated by baseline serum leptin levels > 10 ng/ml) (86). The subjects were randomized to daily self-injection with placebo or different doses (0.01, 0.03, 0.10, or 0.30 mg/kg) of recombinant methionyl human leptin. The mean weight changes at 24 weeks ranged from -0.7 ±5.4 kg for the 0.01 mg/kg dose to -7.1 ± 8.5 kg for the 0.3 mg/kg dose. As in patients with congenital leptin deficiency, loss of fat mass accounted for most of the weight loss following leptin treatment. However, there was a marked heterogeneity in the responses to recombinant leptin among subjects with normal leptin gene. Thus, leptin-deficient patients are exquisitely more sensitive to leptin therapy than patients with common obesity. Nonetheless, augmentation of circulating leptin levels induces variable but significant weight loss in leptin-replete obese subjects. This suggests that leptin resistance may be overcome by exogenous supplementation, similar to the experience with insulin therapy in type 2 diabetes. 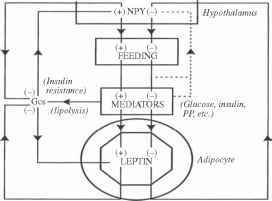 The currently known metabolic and behavioral effects of leptin are summarized in Table 1.3.